Joseph Wright, assistant professor at Penn State University and visiting fellow at the University of Notre Dame, produced an article for Catholics in Alliance in November of 2008 addressing the effect of socioeconomic factors in abortion reduction. An increase in economic assistance to low income families is correlated with a 20% lower abortion rate in the 1990s. The same increase in female employment suggests a 17% increase in the abortion rate. Lower poverty rates were correlated with 10% reduction in the abortion rate. States with a family cap saw a much smaller decline in the abortion rate during the 1990s than states with no family cap. 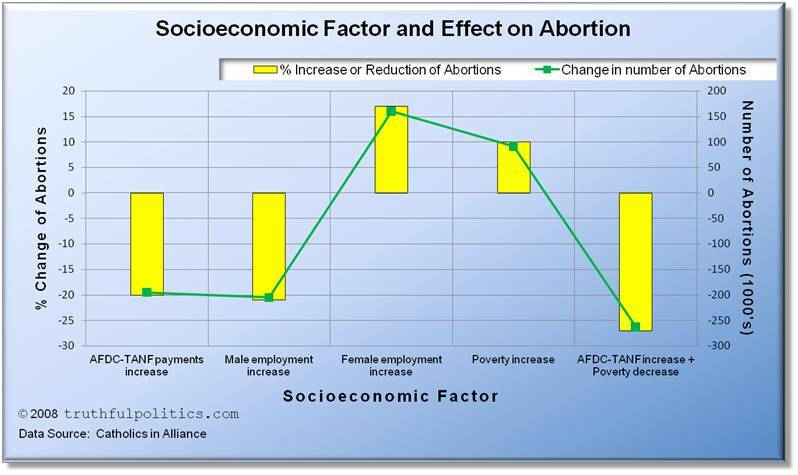 To read the entire study, click on Reducing Abortion in America: The Effect of Socioeconomic Factors.